Banks worldwide are warning of the financial folly that would follow Scotland’s decision to exit the United Kingdom. Scotland’s big banks talk of relocating to London, and other businesses are watching currency and economic ripples as the decision nears. 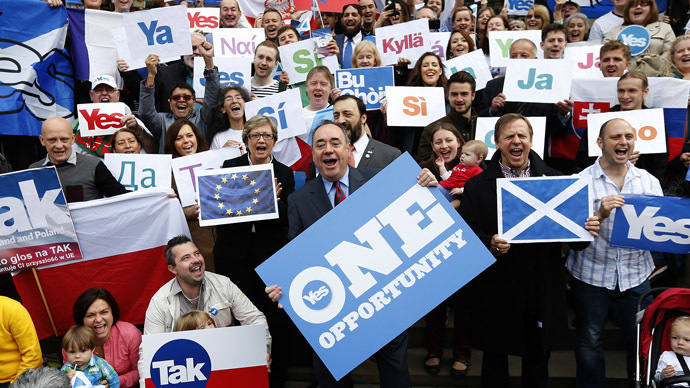 Scotland’s population of 5 million will go to the polls on September 18 to decide whether or not to break its 307-year union with the United Kingdom. If a majority vote “Yes” Scotland will only be part of the United Kingdom for another 18 months before establishing independence. A break would mean Scotland’s economy of $250 billion would “go at it alone” and be forced to break its many financial ties with Britain’s $2.5 trillion economy and 63 million people. 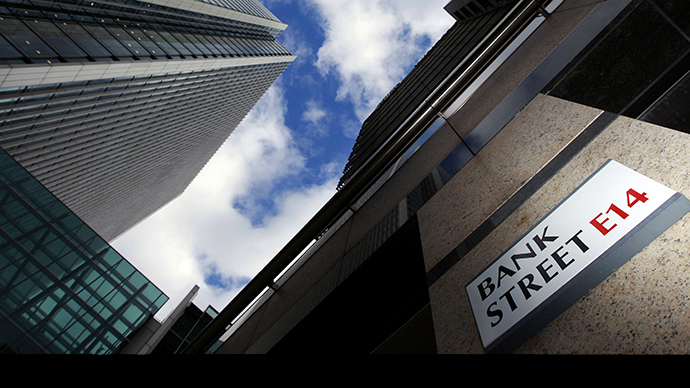 Banks outside of the UK are worried over the damage a “Yes”’ vote could do to the currency. The pound dropped to a 10-month low against the dollar after one poll put the separatist movement ahead with 51 percent of the vote. In the event Scotland does vote for independence, sterling stands to lose 15 percent against the dollar, according to Japan’s Nomura bank. Many of Britain’s biggest banks have Scottish origins but have gravitated operations towards London, one of the world’s largest financial hubs. The country’s two largest banks, Royal Bank of Scotland and Lloyd’s Banking Group, have said they will hightail operations to London if Scotland leaves the union. In leading up to the decision, banks and rating agencies have issued strong warnings against a “Yes” vote to separate from the UK. Royal Bank of Scotland:“RBS believes that it would be necessary to re-domicile the Bank’s holding company and its primary rated operating entity (The Royal Bank of Scotland plc) to England,” the bank said in a statement on Thursday. In response, secessionist leader Alex Salmond said that RBS jobs in Scotland are not at risk. HSBC:“At the extreme, uncertainty over Scotland's currency arrangements could prompt capital flight from the country, leaving its financial system in a parlous state," Chairman Douglas Flint warned. Deutsche Bank:"The implications of a ‘yes’ vote would be huge. On the currency side, it could, at worst, lead to a destabilizing crisis in the whole British banking system, and at best leave the rest of the UK with an unstable currency union," said Deutsche Bank analyst Oliver Harvey. Credit Suisse:“Deposit flight is both highly likely and highly problematic,” a spokesperson for the bank cautioned. 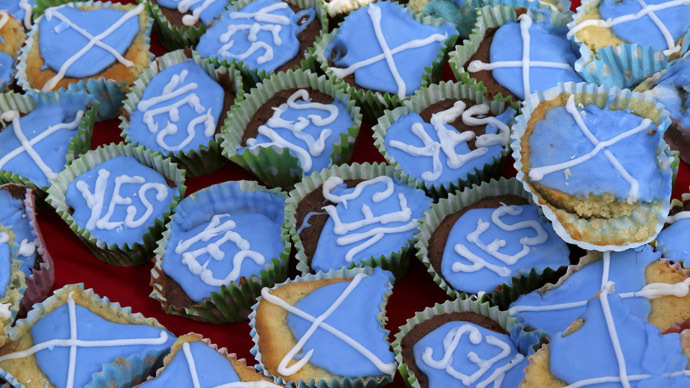 Goldman Sachs:"In the event of a surprise ‘Yes’ vote, the near-term consequences for the Scottish economy, and for the UK more broadly, could be severely negative," the group wrote in a research note last week. UBS:“There is a significant risk of bank deposits shifting abruptly out of Scotland within days of the [Yes] result,” Paul Donovan, Economist at UBS. Citigroup: Citigroup is most concerned Scottish independence will push Britain out of the EU: "With the lessons of the eurozone debt crisis still fresh in investors' minds, a currency union (after a "Yes" vote) may weaken sterling in the same way it weakened the euro,” the bank's analysts said. Standard & Poor’s: Previously the ratings agency said that the Scottish economy would face “significant, but not unsurpassable” problems, but since has issued caution that a Scottish economy wouldn’t be able to support banks in the event of a financial crisis. Scotland maintains they will keep the British Pound, however the “Better Together” campaign says if Scotland votes for independence it will become a state without a currency. However, Bank of England Governor Mark Carney traveled to Scotland on Wednesday and warned Scots that a currency union was not an option if they become a sovereign entity and that the two countries can’t share a currency. Another economic unknown is the fate of the oil reserves in the North Sea, which technically lie under Scotland waters but are mostly operated and extracted by UK energy companies.